Steve Golub and his sons (Steven Jr., Ben, and Nick) are Garage Experts of NWI. Steve has 23 years of retail and 19 years of construction experience. "With the help and guidance of Indiana SBA,SCORE mentoring and the wonderful people at Garage Experts, I am fulfilling a dream of running my own business. I have lived and worked here in NWI and Chicago my whole life. I was looking for an opportunity to make a unique difference for us hard-working people. 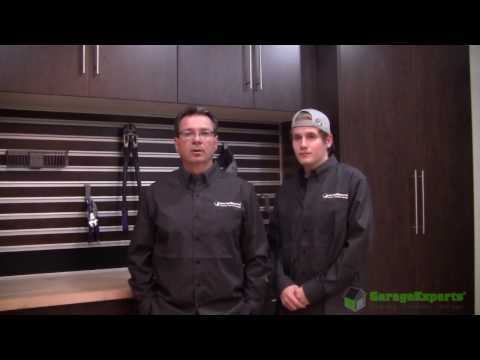 When I learned about Garage Experts and their Lifetime warranty USA-made products, I knew this was an opportunity I wanted to bring to this area. I transformed my garage and will do the same for my customers." 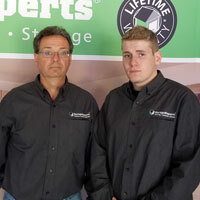 When you call Garage Experts of NWI, you are dealing with a local family business. Steve plans on giving his customers a one-stop shop for garage make overs, a lifetime warranty USA-made products, and outstanding service. GarageExperts of North West Indiana is your local garage makeover expert. View some of our recent work.